Schmidt & Bender is synonymous with quality and precision. This reputation has made Schmidt & Bender one of the leading suppliers of precision scopes in the world. As early as the company's start in 1957, Schmidt & Bender has engaged in the development and production of riflescopes that always meet the ever increasing requirements of civilians and law enforcement alike. The 5-25x56 PM II line is no different. The 5-25x56 PM II riflescope from Schmidt & Bender is known for its versatility with a large magnification range. If long distance is what you're after, then you'll enjoy the ability to see over 6500 feet with the 5-25x56 PM II. There's nothing quite like the 5-25x56 PM II from Schmidt & Bender. 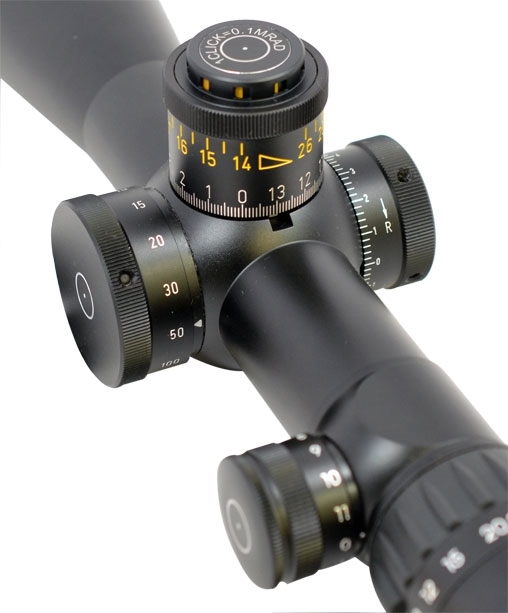 The Schmidt & Bender 5-25x56 PM II is one of the most universal scopes that will meet the most demanding needs of shooters. 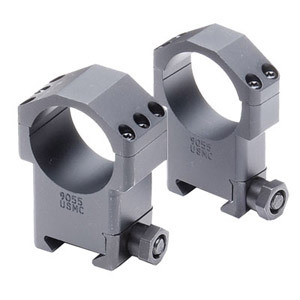 While the scope comes with plenty of features, these accessories can be a valuable addition to your scope. 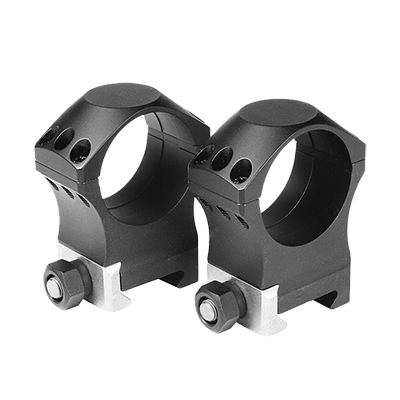 For what ever your scope may need, EuroOptic has you covered. 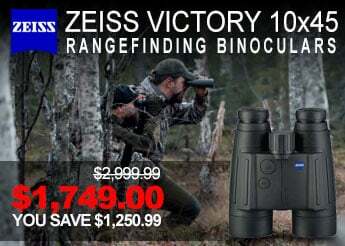 Optical clarity as good as it gets with a rifle scope. Used under various light conditions and out performed my Swarovski STS 65 spotting scope. Turrets are user friendly and easy to set and adjust. My first choice when choosing a tactical scope. My first Schmidt Bender - and the village bicycle of riflescopes in my house. This scope has been many rifles, as I outgrow each rifle, this PMII is still right there to be the top-shelf optic I put on the next setup. Five stars, this scope is what every scope in this class wants to be. 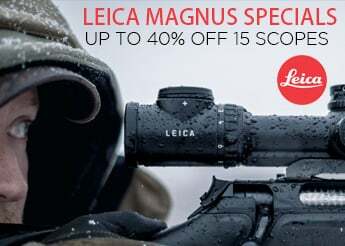 Buy once, cry once - then enjoy the best scope for the rest of your shooting career. 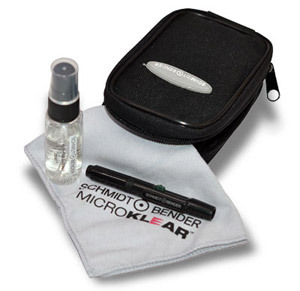 Exceptional clarity and repeatability. 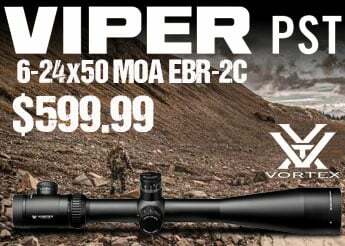 This scope will do the job anywhere from hunting durability to long range shooting. The team at Eurooptics is top shelf in knowledge and responsiveness. This is my third PM II for a good reason, the glass is second to none other that I have seen and the repeatability of the turrets is spot on every time - if you dial 13.7 mils, that’s exactly what you get every single time. The price may seem a bit high, until you consider what you are getting for the money. I can easily discern the difference between a white wing dove and a mourning dove on the ground at 1,000 yards if the heat mirage is not too bad. The only thing that I ran into that I was not 100% happy about was the dimension of the belly underneath the turrets. It hung down too low to use the Kinetic Development quick release mount I purchased to use on this rifle. It had a see-saw effect and would not work. I contacted Kinetic to see if they made taller rings - no. I went with a Larue mount instead, like I have on all my other significant rifles and it has been a winning combination, so I will not try to reinvent what is working so well. If you are considering this scope and you have the means, I highly recommend it. The turrets may not be the latest greatest tactical cool ones available, but they work just fine for me. 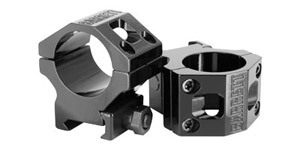 I have the MTC locking turrets on my other 2 PM II’s and I think these are fine as are the others. They are repeatable and that’s all that is really important. 5 Star top of the line riflescope. 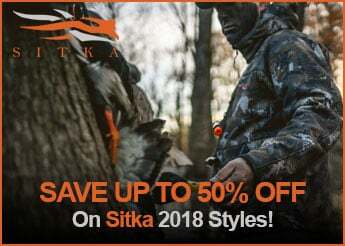 Excellent optics and range. Excellent construction and durability. Scopes will outlast my rifles. I have several for all my long range rifles and I'm happy as can be. No regrets. No cons. Nice glass, but after 1 month and around 100 rounds through a 6.5cm bolt gun I got grease spots on the reticle. Disappointed to say the least. Seems like a known issue after speaking with the service people. Frankly from the reputation of this company these should have been recalled. I saved up for a year to get one, now a month later I’m having issues. Thought this scope would give me a lifetime of service without issue. We’ll see after I get it back. Excellent scope. Had a Bushnell DMRII which was awesome but this glass is worth the extra $$$. Great customer service here at Euro optic. Thanks. This is my first tier 1 scope purchase, and I’m happy with my choice. The Europtic team was helpful, and answered all my questions as I was deciding which to purchase. I chose the dt p4fine, as it was the most economical in the lineup. The scope itself is well built and tank-like. The crisp clicks are impossible to miss, the double turn feature is convenient and simple, and the illumination is well done. The optical clarity is in a different universe than the high quality sporting optics I’ve owned in my lifetime. There may be better glass out there out there when you and your buddies are talking, but this is definitely great. I purchased an era-tac adjustable unimount with it, and that is equally good quality. I recommend the team at Europtic. I will buy here again. Purchased a TRG-42 .338 lap used several years ago with a Spuhr mount. Asked the gentleman what scope was on it. He said Schmidt Bender PM-ll when asked why he would not sell the scope with the gun. He said he would never sell it. & has it on several guns. He also said there was one problem with Schmidt scopes. That is once u own a Schmidt scope u will want another. He was right!! My opinion there is the PMll & there’s everything else enough said! Best scope that I have ever looked through! Schmidt & Bender, what else need be said :) The Tracking is right on! 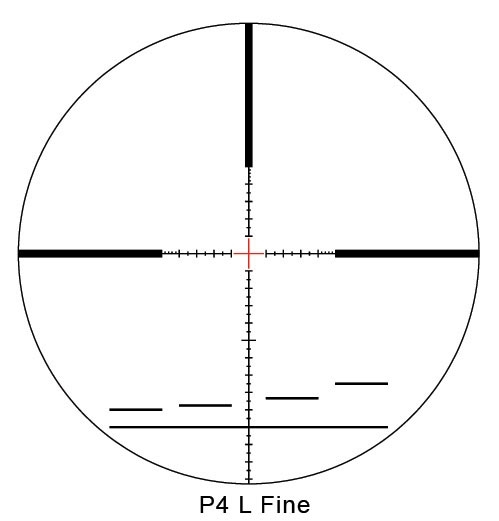 The clarity is top in the business and the reticle is no distraction, down to business style! Today's plethora of "scope of the day" models come and go and pretty much everyone has a model with great glass and high light transmission. 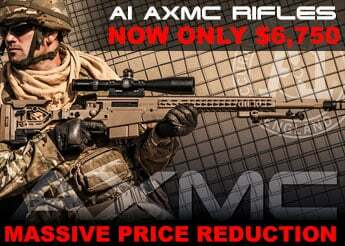 That's not what makes a scope expensive nor functional in a tactical optic. Repeat-ability is the word. It's the exceptional machining that goes inside a Schmidt that makes it expensive and makes it a true tactical class optic. 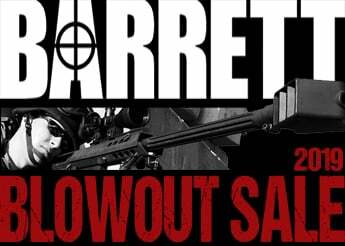 If your budget scope with great optics won't pass a tall-target test then what's it good for? There are other scopes that match the schmidt but not for half the money. As another fella put it, buy once - cry once. Good day! Do you make delivery of Schmidt Bender PMII 5-25x56 L/P DT P4 Fine FFP MRAD CCW 677-911-972-90-68 to Kazakhstan? And how much will it cost?